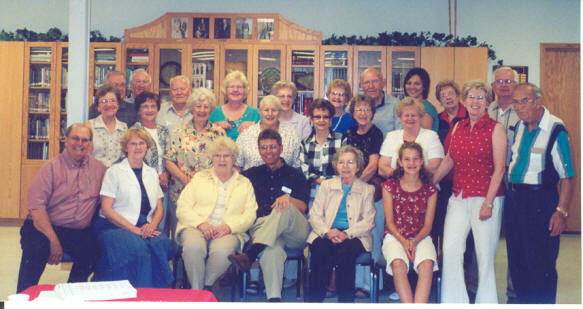 The Souris Valley Danish Society was organized in 2000 and has a membership of thirty. Quarterly meetings are held at noon in the Edgewood Vista Fireside Bistro located at 800 16th Ave SE, Minot, ND. Lunch is on your own where we enjoy fellowship and stories. To establish as association of persons who share Danish heritage and Danish-American interests. To renew an appreciation of Danish culture, traditions, and fellowship. To encourage preservation of Danish customs and traditions in our region. 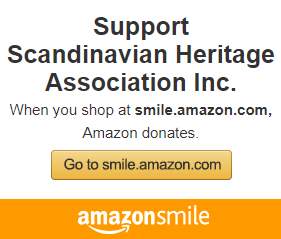 To support membership of other local and national Scandinavian organizations. 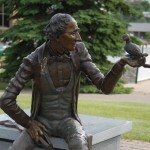 A long awaited goal was achieved when, on October 5, 2004, a sculpture of Hans Christian Andersen was unveiled as a part of the Scandinavian Park Celebration. 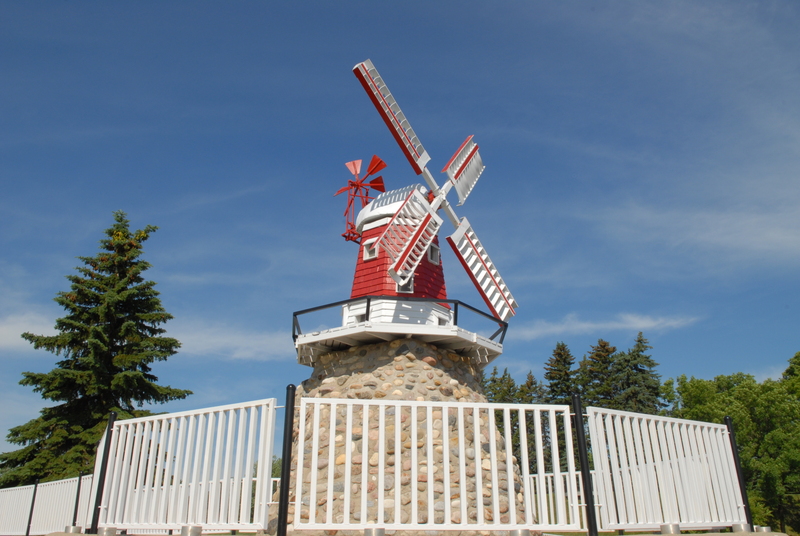 The life size statue was presented to the park by Lynn and Marilyn Odland of Mitchell, SD as a memorial to Lynn’s mother, Alice Nelson Odland. The sculpture was created by Shari Hamilton of Westhope, ND. 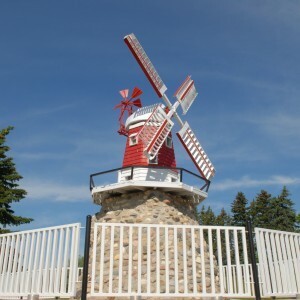 The Danish Windmill at the Scandinavian Park. The Danish Society helps the Danish American Fellowship from Minneapolis in their booth at Hostfest where we sell authentic Danish food each year. We were very pleased to have the Danish chef, Stig Hansen attend Hostfest in 2007 selling his wonderful new cookbook, Cooking Danish (cookingdanish.com ) In 2011 several member went to the Julefest in Elk horn, Iowa and toured the Danish Museum. We served aebleskiver, frikadeller and red cabbage quite often at our previous meetings!